NHL LA Kings goalie Jonathan Quick will be sporting a Special Forces themed MultiCam Alpine helmet for the upcoming 2016 World Cup of Hockey tournament in Toronto. Steve Nash at Eyecadyair put his amazing airbrushing skills to great use, and the helmet looks fantastic. 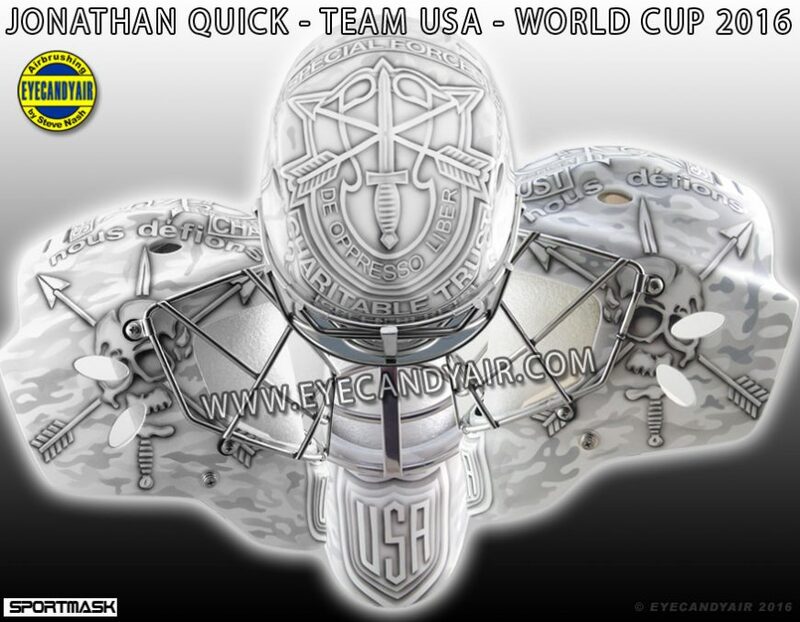 See Jonathan and the helmet as he represents Team USA by following him on Twitter and contact Eyecandyair for all your airbrushing needs.